Joseph serves as Executive Chairman of ELRH Investments, a diversified investment vehicle with assets throughout the sunbelt. He recently served as executive chairman of Landmark Apartment Trust of America, Inc. He is the founder of Landmark Residential and has successfully completed $3Billion of value-added multifamily transactions in the Southeast in the last 20 years. 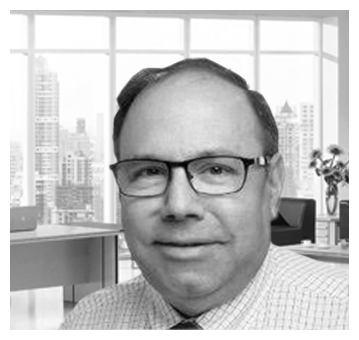 An expert in value added and distressed real estate repositioning, Joe has 25 years of experience in multifamily acquisitions, operations and disposition. On behalf of ELCO Holdings, ELRH ‘s largest investor, Joe is very familiar with the publicly traded world and reported quarterly to analysts covering ELCO and made numerous presentations before the members of the Tel Aviv Stock Exchange. In his capacity as CEO, Joe was responsible for annual GAAP and IFRS audit presentation as well as standard institutional reporting.An honors graduate of Cornell University, he holds a Juris Doctor degree from Delaware Law School. He is active in numerous civic and charitable organizations, including AIPAC, Hillel, and The Cornell University Tower Club. Joe also serves as presidential Advisor of Temple Beth David in addition to civic and corporate Board assignments. An avid motorsports aficionado, Joe serves on the board of the International Hot Rod Association and is Managing Partner of the Palm Beach Driving Club. We are pleased to have Joe as a member of the Alps Innovations Kiosk Manufacturer Advistory Board.